Tender, licorice-like tarragon is a classic seasoning in French chicken, vegetable, and seafood dishes. If you love its flavor, feel free to experiment; it's also great with bacon and even strawberries. 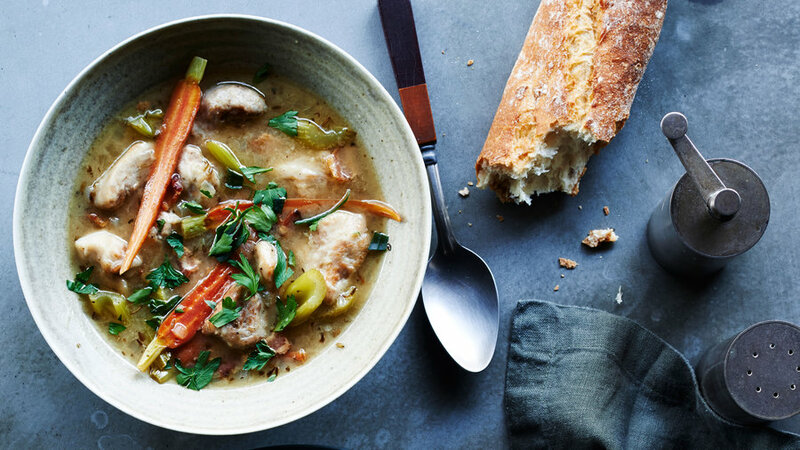 Chicken stew made with wine is a French classic. We’ve updated our version using white wine for a crisper flavor and we’ve cut the cooking time to make it weeknight friendly. This dry rub works well with our Ultimate Roast Chicken or Best Last-Minute Roast Chicken recipes because it keeps the skin crisp. 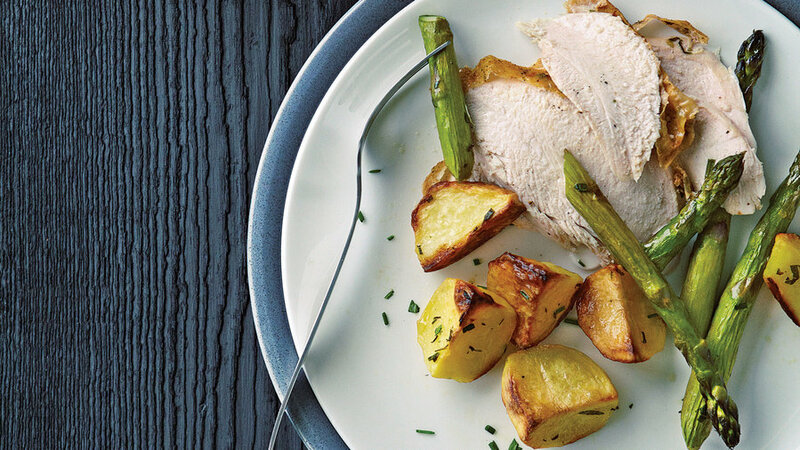 Serve with Crispy Roasted Potatoes and Asparagus. For the French Herb rub, combine 2 tbsp. each coarsely chopped fresh tarragon leaves and chives; set half aside. In step 2, distribute half the chopped herbs in chicken pockets. When chicken comes out of the oven, brush with a small amount of pan juices, then scatter remaining herbs over it. 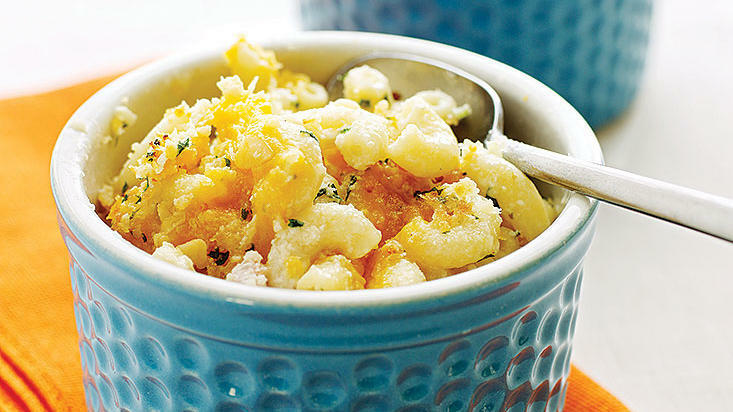 Homemade mac ’n’ cheese in 30 minutes? It's true. Creamy and bacon-studded, this dinner is the ultimate quick, comfort food. 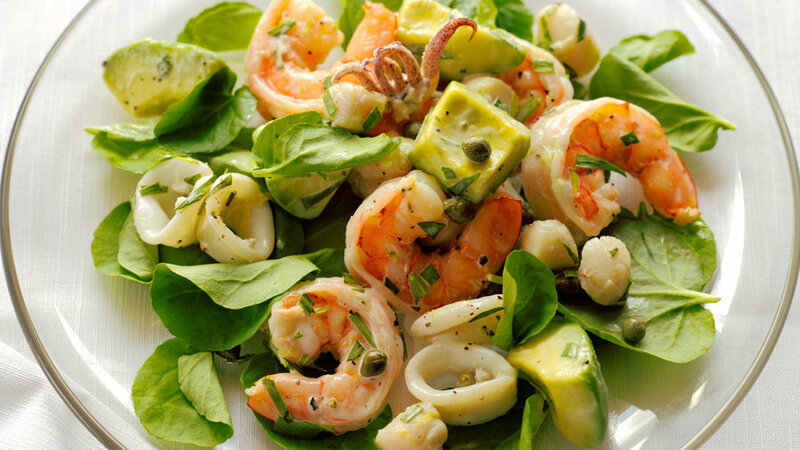 The lemony mayo, briny capers, and peppery watercress pairs well with a bright, crisp Chardonnay, which offers up its sweet core of fruit to the shellfish. 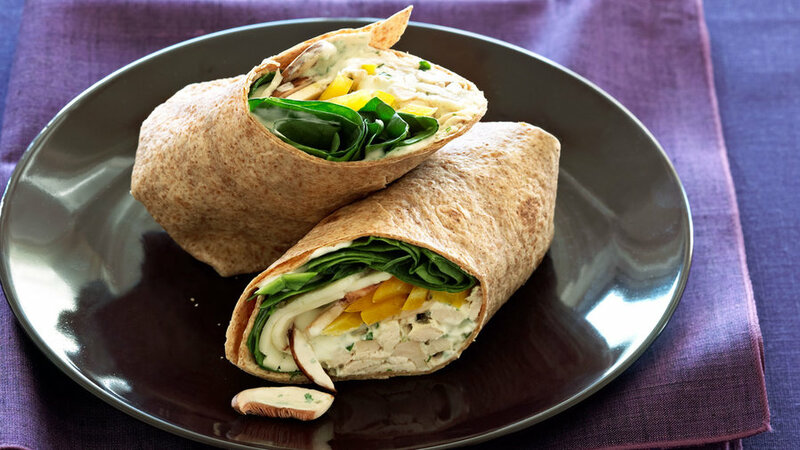 Wraps are great for many reasons: They're full of vegetables, they're portable, and you can use leftover dressing for salad the next day. Strawberries go well with tender herbs like mint and tarragon. 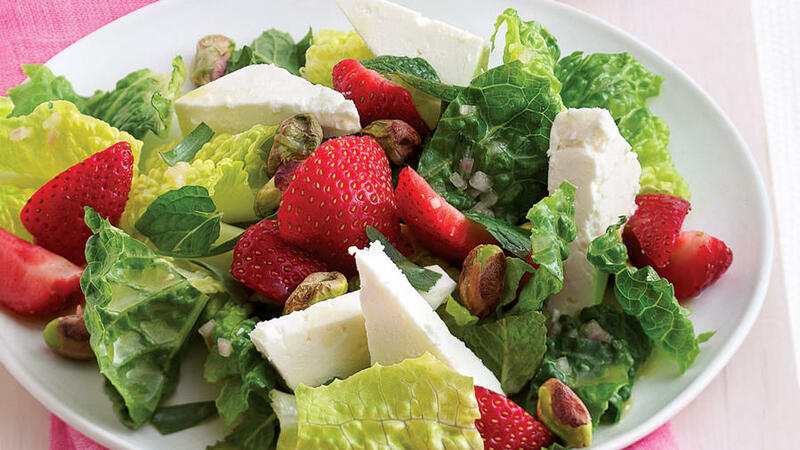 Tossed with toasted pistachios, creamy feta, romaine lettuce, and a very light honey-lemon dressing, the berries add bright notes to a refreshing salad. 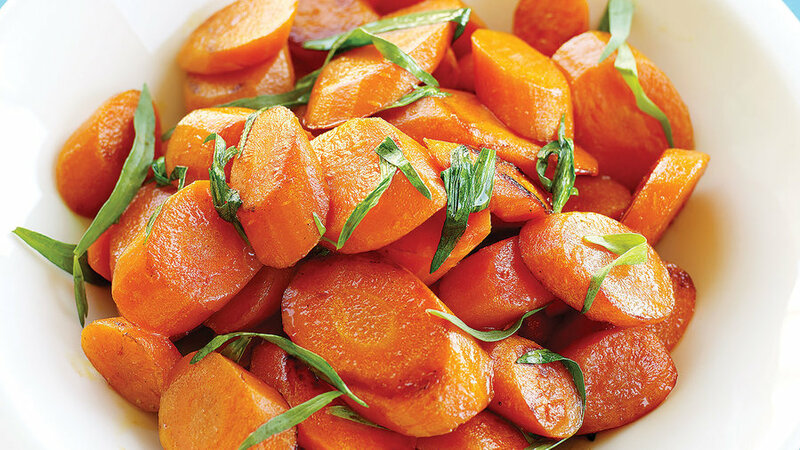 This simple side dish pairs well with roasted chicken. 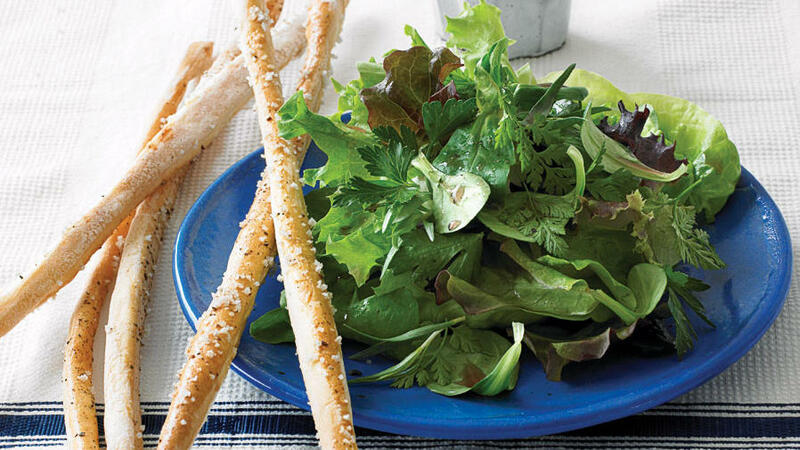 Most people tend to be timid about using enough salt in a vinaigrette, but the right amount—which may be different for each of us—really accents salad's "green" flavors.